Buzz buzz! Spring is here and mother nature is hopping with qi, the flow of life. Bees are the great connector, crucial carriers of plant sexuality and the continuity of numerous species of plants and trees all over the planet. There have been ancient cults to the bees in Greece, Egypt, and Meso-America. Worshipped for the miraculous healing qualities of their honey, pollen, propolis, and royal jelly, the bee has been the object of much reverence and adoration. Grounding black and will-to-power yellow, bees activate our business side and empower our activity to a collective goal. In ancient Egypt they signified royalty and in Celtic culture, hidden wisdom. Bees work as a community, and they are diligent workers who sacrifice self for the cause of their tribe. 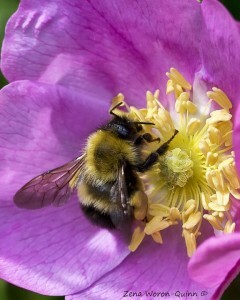 The fur on the bumblebee enhances their abilities to feel vibrations and absorb them. They are also active at lower temperatures than honey bees, thus they are more resilient in adverse conditions. They do not have ears, but they are sensitive to sound and react to it. This teaches us to hear through our own lack of ability to receive the knowledge coming at us through vibration. They also represent achieving the impossible, as they are believed to be too large to be supported by their wings, yet they still are miraculously able to fly. The sacred geometry of the beehive has the number six as its essence, invoking the merkaba structure. Ancient temples and the labyrinths of Crete were fashioned with the honeycomb in mind. The bee reminds us to work hard, enjoy the sweetness of life, and persist even when the goal is not within sight. The bee reminds us to make honey while the sun shines! 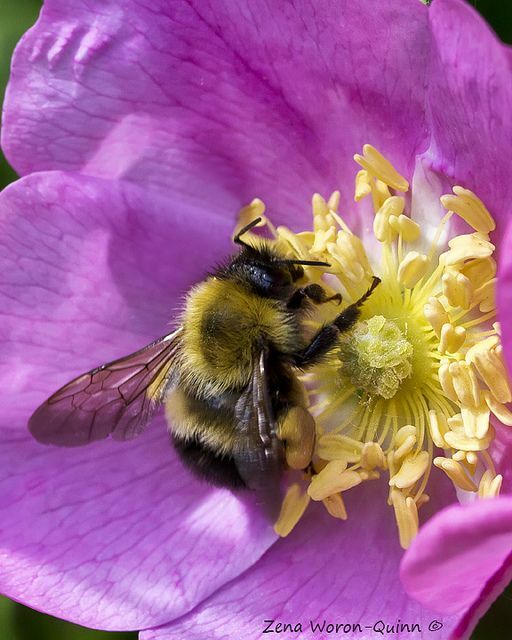 Order, hard work, sunshine, and flowers are all part and parcel of bee energy, so use this behind your actions and projects if the bumble bee comes calling.